The StickyShield® range of self-adhesive protection films are the leading brand due to their exceptional quality. Unlike many of our competitors who sell plain imported films which does not tell you where it came from. StickyShield® is a branded product, a brand you can trust. 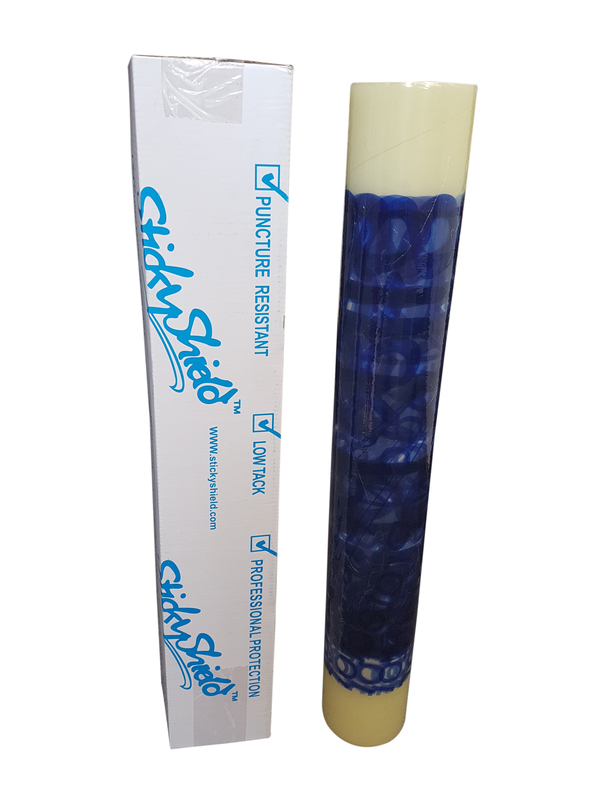 StickyShield® is also colour coded for ease of use, stopping your contractors from applying one of our films to the wrong surface! StickyShield® is similar to dust sheets, however StickyShield® is supplied with a low tack, peelable adhesive allowing you to simply stick to your desired surface where it will stay until you remove it. This makes it much safer to walk and work on than traditional dust sheets of the past. Applying StickyShield® protection films to all surfaces ensures that damage normally caused by paint and liquid spills, mortar, dust, foot traffic and dirt is prevented. Once your project has finished simply peel off StickyShield® to reveal a perfectly clean surface. StickyShield® should be applied at room temperature and is recomended to be replaced every 4 weeks.